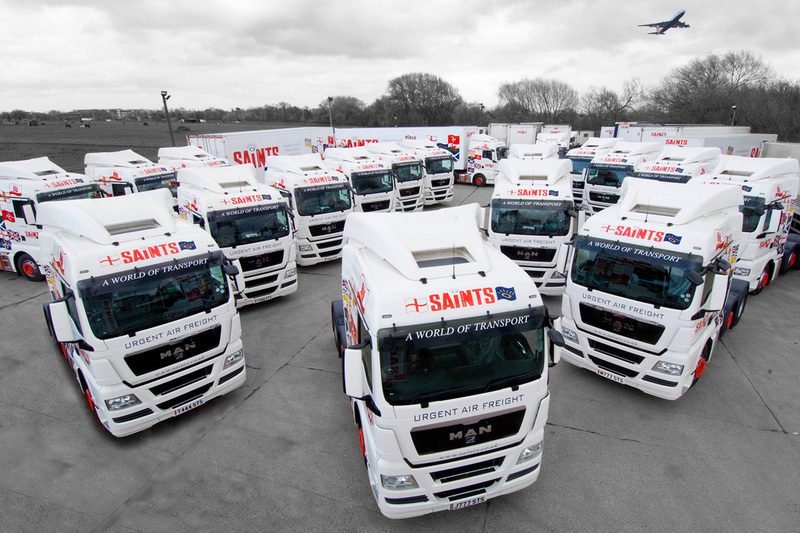 We operate an absolutely enormous fleet, especially when compared to our competitors. Our entire fleet is made up of only Euro 5 and Euro 6 vehicles, which means it comprises some 200 of the most modern, cutting edge and environmentally friendly vehicles on the road, as well as over 120 trailers. Our huge fleet not only encompasses practically every type of vehicle you could imagine but multiples of them, this really does offer unrivalled capacity, which to us and our customers is just as important as vehicle type. Anyone can promise they can do something, whether they actually have the fleet and capacity to uphold these promises, is obviously a whole different matter. All of our vehicles and trailers are secured to stringent aviation security standards, as well as a large portion of these being airside licenced. They all have live satellite tracking, full telematics, fixed cab telecoms and satellite navigation as standard. We do all of our own maintenance, servicing and MOT’s in house, we have extensive fuel tank facilities and even our own commercial vehicle wash, allowing us to be fully in control of all aspects of our cutting edge fleet.